The front side features an image of "IC170922” and the IceCube logo on the back Heathered navy, crewneck, rinspun cotton/polyester, Available in unisex sizes S-2XL. Runs small. The front side features an image of "IC170922" and the IceCube logo on the back Heathered navy, v-neck, rinspun cotton/polyester, Available in sizes S-2XL. 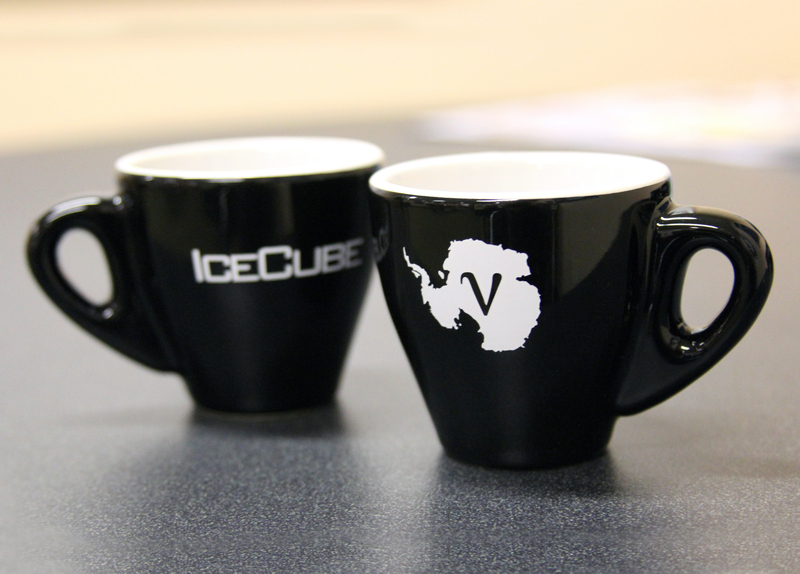 Cheers to the new IceCube espresso cups. These 3-ounce demitasse cups are sold in gift-boxed sets of four. 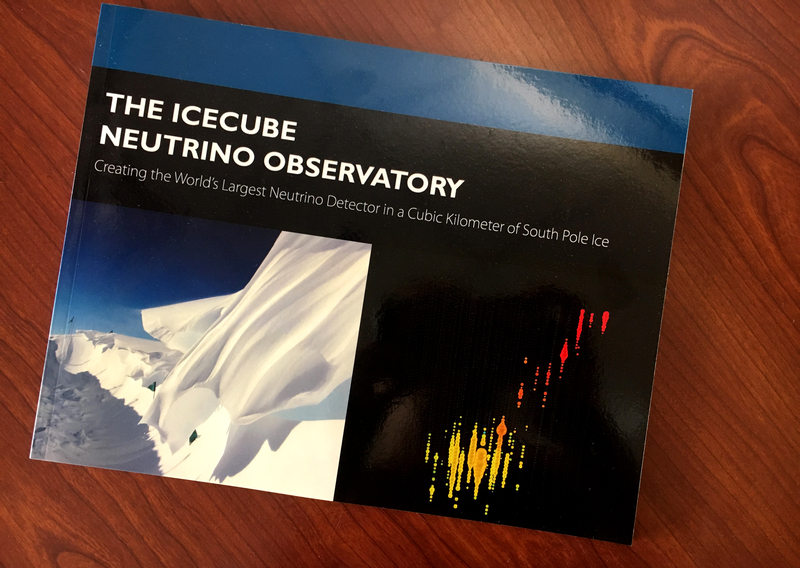 Discover how the international IceCube collaboration built the biggest neutrino observatory at the South Pole with funding from the National Science Foundation. The hardcover book includes essays by Elan Elcheikh, Tom Gaisser, Francis Halzen, Terry Hannaford, Kael Hanson, Jim Madsen, Christian Spiering, Robert Stokstad, and Jim Yeck with a forward by John Wiley. 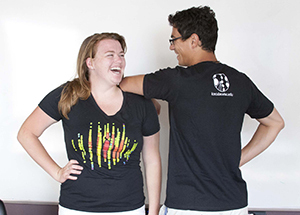 Be the envy of all your friends with a shirt featuring a reconstruction of one of the highest energy neutrinos ever seen. 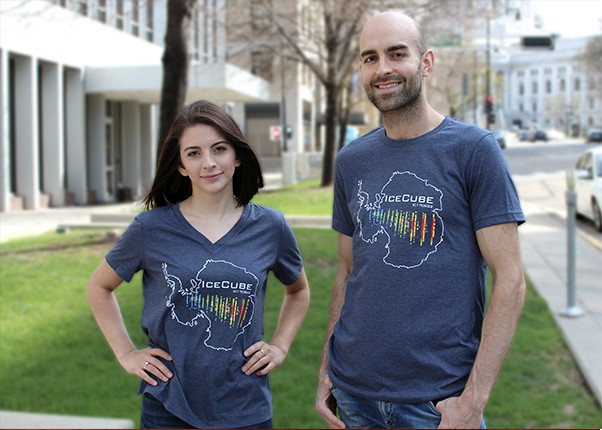 The front side features an image of "Bert" and the IceCube logo on the back. Black, crewneck, pre-shrunk 4.5 oz 1open 00% combed ring spun cotton. Available in sizes S-2XL. The "Bertshirt" in V-neck style. 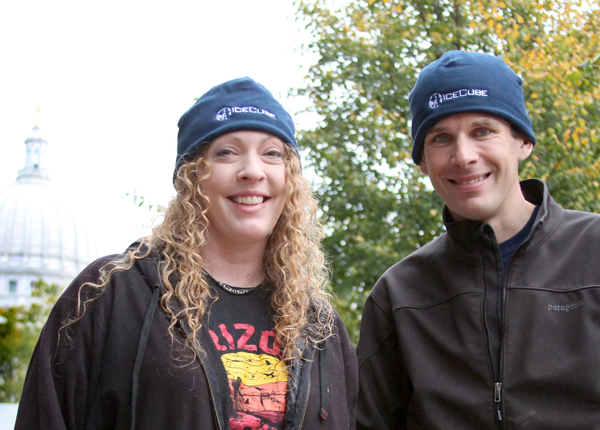 Soft, 100% ring spun cotton with a longer torso length makes it comfortable for all wearers. IceCube logo on the back. Black, V-neck, pre-shrunk 3.2 oz cotton. Available in sizes S-2XL. 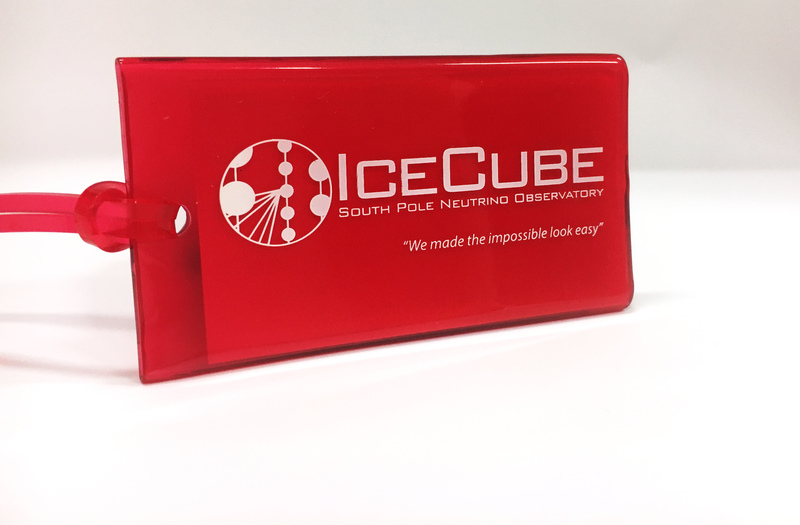 Stay warm and stylish this winter with the same hat that IceCubers are sporting at the South Pole. The IceCube fleece hat features a white embroidered logo on double-layer polyester fleece—one size fits most. US shipping is via Media Mail, International shipping is via Priority Class Mail. Pickup orders will be charged Dane County sales tax. Shipping Items are shipped via media mail (domestic) and priority class (international). Media mail takes approximately one week once mailed, but may take longer during the holiday season or for Alaska and Hawaii. Doing Business As The charge will appear on your credit card statement as UW ICECUBE STORE. Refund Policy If you are not satisfied with your products, please contact learn@wipac.wisc.edu to arrange a refund.